Blood Moon turns all non-basic lands into basic mountains, only able to tap for red mana, and can completely shut out some strategies and prevent them casting any spells for the rest of the (likely short) game. It's especially brutal out of the main deck of an archetype not normally known for running it. Long-time French pros Jérémy Dezani and Raphaël Lévy were the ones running this nasty little surprise. Lévy has been playing the game pretty much for as long as it's existed and was admitted into the Hall of Fame in 2006. 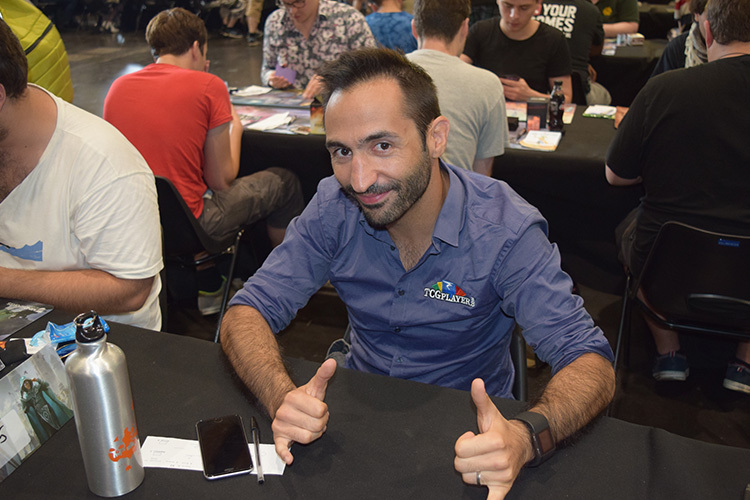 Dezani is a former Player of the Year and has a Pro Tour title (Dublin, 2013). One of the things that surprised me about the main deck Blood Moon is I thought the BGx decks were traditionally soft to the powerful enchantment. “Not if you're expecting and playing around it,” as Lévy put it. I thought they'd added Blood Moon to evolve the Jund deck, but as it turned out it was the other way around. Jund is already one of the strongest decks in Modern, but it does have weaknesses. Blood Moon isn't good against everything, though. “It's bad against Burn and Affinity,” Dezani said. Both players picked up two losses each on Day 1. Lévy to Affinity and RW Aggro, and Dezani to Affinity and a tight game against Esper Control that revolved on the Esper player topdecking Lilliana of the Veil and having the two basic swamps in play to cast her through a Blood Moon. Dezani did beat one of the Affinity decks he played, however, and had an interesting story about catching them out in game one. This left Lévy with a dilemma. Which he resolved by scooping to the other player. A hard decision to make, but one he reckoned was the right one. 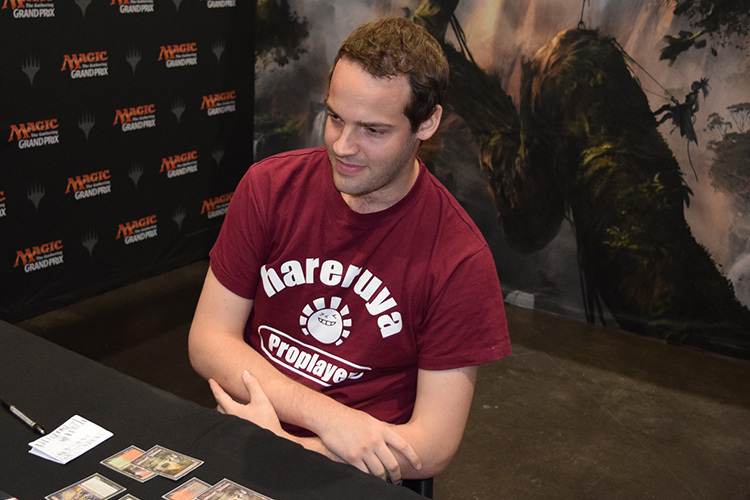 Unfortunately, that was followed by a loss to Infect to leave the French Hall of Famer out of contention for prizes. However, Dezani is still going strong. His 10-2 record at the time of writing this still gives him a shot of making Top 8 and ambushing more unsuspecting non-basic lands.